Kippax Welfare held onto their five-point advantage at the top of Wetherby League Division Three as they enjoyed a 90-run win over St Chads Broomfield B. They warmed up well for this Sunday’s Fred Fleetwood Cup final as they went in first and made 187 with good efforts all down the order. 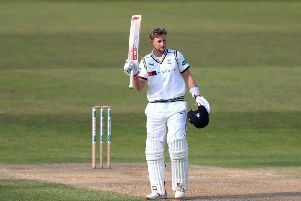 Opener Daniel Hall made 29 while Lee Thompson (25) and Wasim Patel (20) kept the scoreboard ticking over before James Goodall came in at number six to hit 33 and Jamie Wills contributed 37 from his number nine place in the batting order. St Chads were all out for 97 in reply as Zuber Patel took 3-17, Goodall 2-11 and Syed Hussain 2-26. Ledsham’s promotion hopes in Division Two suffered a blow as they lost by 43 runs to leaders Rufforth. Despite the defeat they remain four points clear of third-placed Headingley Bramhope, but were disappointed at their batting effort after doing a good job in the field to dismiss Rufforth for 159. Andrew Kelly led the Ledsham attack with 4-37 while Joshua Ware took 3-7 and Johnny Smales 2-16. But Ledsham could then only muster 116 runs in their reply despite late order men Freddie Dewhirst (31), Paul Dewhirst (21) and William Day (14) offering resistance.